Jack Pearl (1926-2018) – Jack has been the driving force and cornerstone of the Pearl Companies since he founded the organization in 1954. He is a graduate of Bradley University, a charter member and past president of the American Institute of Professional Association Group Insurance Administrators (AIPAGIA), a charter member of the Professional Insurance Marketing Association (PIMA), an active contributor and volunteer for the Children’s Miracle Network and Children’s Hospital of Illinois, and a significant supporter of the Catholic Diocese of Peoria. In addition, Jack has been recognized for his many outstanding achievements through various awards, including the prestigious Master of Mass Marketing award presented annually by the Mass Marketing Insurance Institute (MI2), the Sigma Chi Significant Sig Award, the second-ever recipient of PIMA’s Legend award, and was commissioned as a Kentucky Colonel by their Governor in 2006. Gary joined Pearl in 1985 and has served as Chief Executive Officer of the Pearl Companies since 1998. Gary provides the Pearl team with a wealth of insurance knowledge and experience, which he developed during his years working in various sales, marketing, and operations divisions both at Pearl and with CIGNA Insurance Company, where he started his career. He remains deeply involved in every aspect of the business and is committed to continuing Pearl’s tradition of innovation. Gary was the 2000 President of the Professional Insurance Marketing Association (PIMA). Pearl Automotive began in 1977 with the acquisition of Honda World of Peoria. 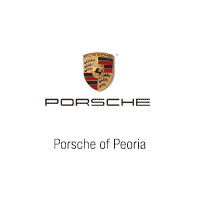 Today, Pearl Automotive consists of Autohaus of Peoria (Audi, Mercedes-Benz, Porsche, & Volkswagen), Peoria Toyota, & Lexus of Peoria. Driven by the belief of offering only the most reliable vehicles and helping consumers maintain their investments through top-of-the-line parts and service, Pearl Automotive has been providing excellent new and pre-owned automobiles to the Midwest region for more than 35 years. Autohaus of Peoria and Pearl Automotive have had a long history of giving back to our community. We have sponsored dozens of charitable causes over the years and are currently a official corporate sponsor of St. Jude Children’s Research Hospital. For every car sold at Autohaus, we donate a portion of the proceeds to St Jude Children’s Research Hospital.